The DynaPro is a secure PIN-entry device. It protects the cardholder data whether it is read. The DynaPro is a secure PIN-entry device. 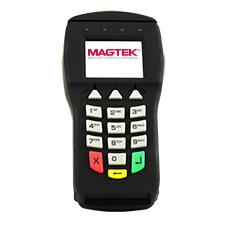 It protects the cardholder data whether it is read using the MagneSafe Secure Card Reader Authenticator or smart card reader. It is the most comprehensive, end-to-end security solution available. Prevent card data breaches without compromising the speed and convenience of your cardholders' financial transactions with DynaPro.